We leave Dublin behind and take the train to Cork. On arrival in Cork we take an excursion to the famous Blarney Castle. One of Ireland's greatest treasures, this iteration of the medieval castle was built in 1446, but sources suggest that there have been dwellings of a sort on the site since perhaps the 12th century. 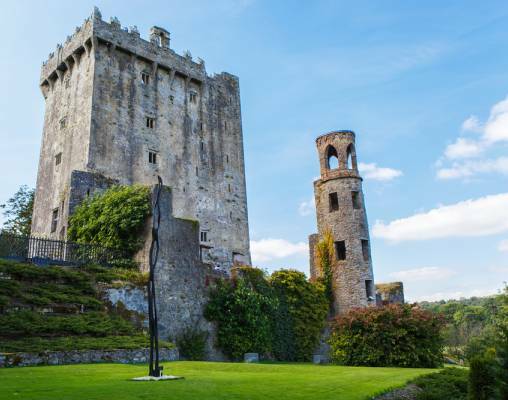 Of course, the most famous tourist attraction here is the famous Blarney Stone. If you hang upside down over a rather disconcerting drop (helpful hand bars are provided, though it might be worth having someone help you out) and kiss the stone, you are said to become extremely eloquent, and because of this, the world 'blarney' has become Irish slang for someone who possesses the 'gift of the gab'. You have a full day to explore the castle and its gardens - be sure to look out for the fascinating poison garden, filled with a number of nefarious plants, including wolfsbane, ricin, and opium. After, we transfer back to our hotel. This morning we travel to the harbor town of Kinsale, where you are at leisure, perhaps to wander the streets and view the myriad of brightly colored buildings that line them. Kinsale also has a wide variety of delicious restaurants, so why not take the opportunity to enjoy a delicious lunch whilst here? We continue to Killarney, situated amongst the sublime scenery of Killarney National Park, and check into our hotel for the next 2 nights. After dinner we are whisked away to the Celtic Steps Show, a spectacular evening of traditional Irish music and dance. From lively, jaunty tunes to slow and bittersweet ballads, Irish music has traditionally covered a whole score of emotions with fiddles, flutes, and drums, and we are fortunate enough to experience these incredible traditional displays in a delightful mix of the music through the ages. 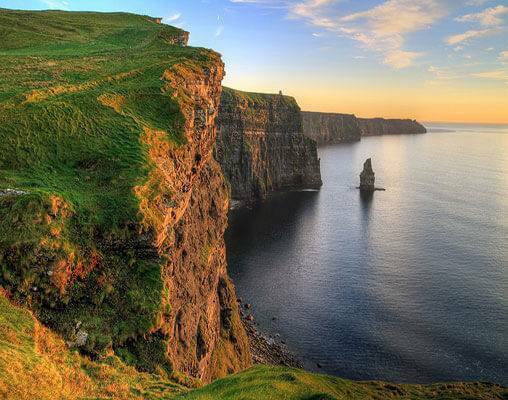 We travel to Galway via the famous Cliffs of Moher, Ireland's most dramatic natural attraction. It is easy to see why, as the cliffs rise to a great effect out of the sea, staggering off into the distance. The cliffs are also home to a great number of birds, with over 20 species making their homes on the cliffs. Thanks to their wild beauty, they have been used as a filming location for numerous films, including 'Harry Potter' and the 80's classic, 'The Princess Bride'. We learn more about the cliffs at the Visitor Center, where you have time at leisure. 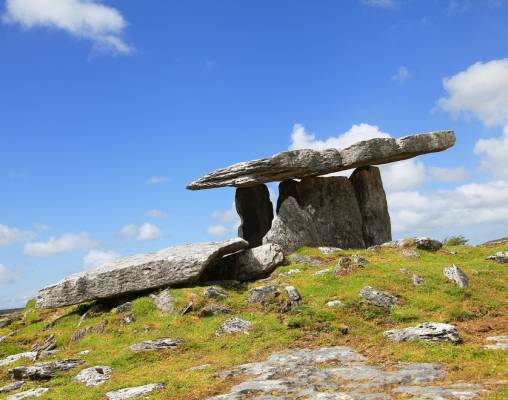 Leaving the Cliffs of Moher, we continue to the Burren Center in Kilfenora, which tells visitors of the history of Burren, from its creation over 320 million years ago to today. Our final destination today is our hotel, where we transfer to after some time at the Burren Center. On Day 8 we make visits to the Celtic Crystal Factory in Connemara, where we learn about the creation and history of these stunningly intricate pieces and enjoy a demonstration of glass cutting, displayed by a master cutter who explains his work in a fascinating and enthralling show. After a leisurely morning, we transfer to Galway Station to return to Dublin by Standard Class train. We enjoy a sightseeing tour on Day 10, including a visit to the Book of Kells, an ancient codex that is believed to have been written in around 800 AD. The intricate detail on this book is remarkable, and well worth lingering over. We then visit the world famous Guinness Storehouse for a guided tour, exploring the history of this dark and iron rich stout that is famous internationally, and we enjoy a tasting before you spend the rest of the afternoon at leisure, perhaps exploring more of the fascinating city. This evening, we gather for a farewell dinner at 'The Merry Ploughboys', an Irish music pub where one can truly experience the lively culture of Ireland thanks to its live bands and lively atmosphere. 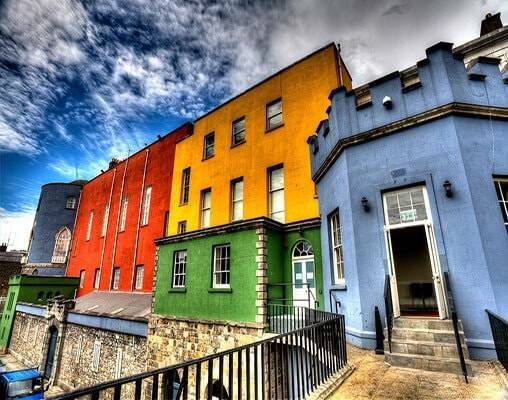 Located just outside of Cork city center, the 4-Star Oriel House Hotel offers luxurious and modern accommodation. The hotel boasts its own leisure club with a swimming pool, an infinity resistance pool and a gym. There are two restaurants, The Oriel Restaurant which specialises in modern international cuisine, and The Oriel Bar and Bistro, which offers casual dining and a courtyard terrace. Guest rooms are spacious and tastefully decorated, with full air conditioning, interactive LCD televisions, safe, luxurious marble bathrooms, tea & coffee making facilities and complimentary Wi-Fi. In Dublin, we stay at the 3-Star Hilton Garden Inn Customs House. Located near the bustling financial district, close to the city center, this excellent hotel has superb views across the River Liffey. It's contemporary feel is perfect for the contemporary city of Dublin, featuring all the expected amenities including complimentary WiFi across the hotel, a fitness suite and a restaurant serving international cuisine. The rooms provide a television, a minifridge, a safe and tea & coffee making facilities. Set within its own spacious grounds and attractive gardens, the 4-star Ardilaun Hotel is located in the leafy suburb of Taylors Hill, about 1km from Galway city center. The hotel boasts excellent facilities including a superb leisure club with an indoor pool, sauna, spa bath, steam room and gym. The on-site Avalon Health & Beauty Salon offers messages and treatments (payable locally) on request. Rooms have a TV, hairdryer, tea/coffee making facilities and free Wi-Fi internet access. 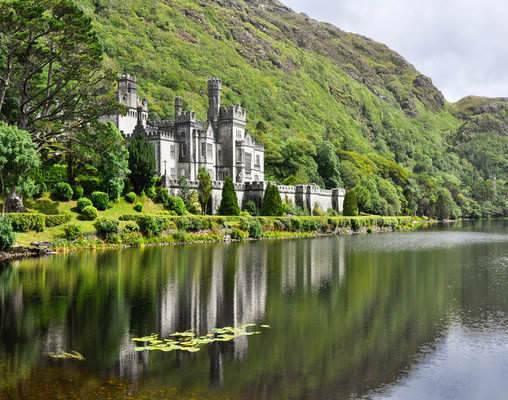 In Killarney, we stay at the 4-Star Innisfallen Hotel in the charming village of Fossa, just moments from the beautiful waters of Loch Leane, an ideal base from which to explore this stunning region. The onsite restaurant, The Valley Bar, offers a range of wholesome meals inspired by local produce. Guest rooms offer superb comfortable overnight accommodation, with complimentary Wi-Fi, free toiletries, a safe, a television, and tea & coffee making facilities. 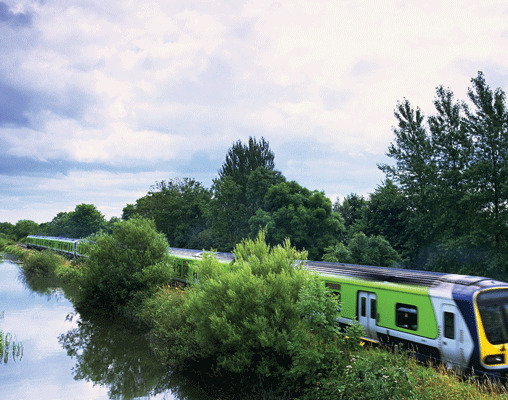 Many of our journeys in Ireland are on board Irish Railroads' new Intercity trains. These smart, modern trains are comfortable and air conditioned. Other journeys are on board Irish Railroads' regional services. The Intercity trains include on board Wi-Fi and power points, and on these trains we travel through the stunning Irish scenery. Irish railroads operate on a very unique track gauge of 5 foot 3 inches - the only other place in the world where this particular gauge can be found is in Australia. 6th May 2019 $2,425 Please call for availability. 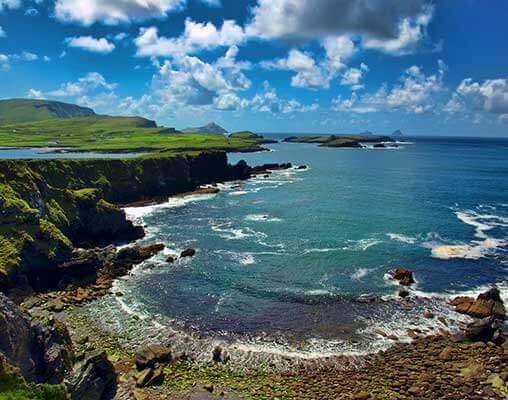 Enter your details below if you would like to be notified when 2020 dates and prices are available for The Enchanting Emerald Isle.